Looplabs is a free, easy to use cloud based music studio that lets you make music. together. Looplabs is a free, collaborative cloud based music studio that lets anyone, regardless of technical skills or ability, easily make, share and discover music anywhere, anytime and with anyone - all from their web browser. 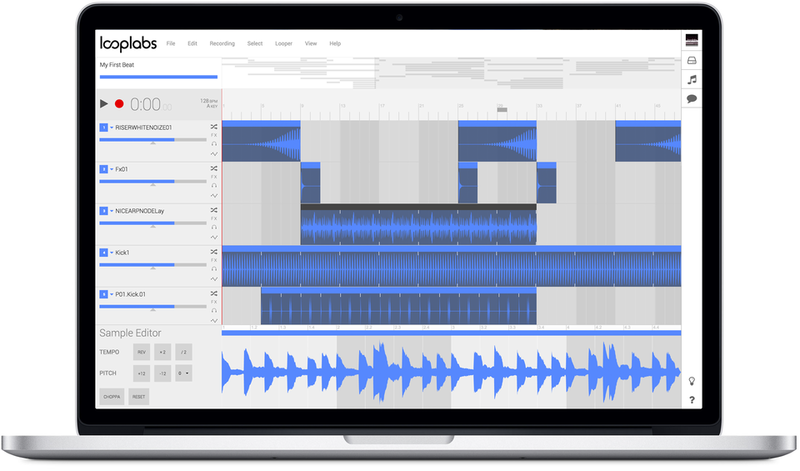 Looplabs' intuitive interface harmonically snaps more than 25,000 royalty-free sounds into the same tempo and musical key, removing the complexities of musical theory and allowing anyone with internet access to easily create their own music for their YouTube, Instagram or Vine videos, drop in their next DJ set, remix artists, write songs, record raps or vocals or simply have fun with their friends.